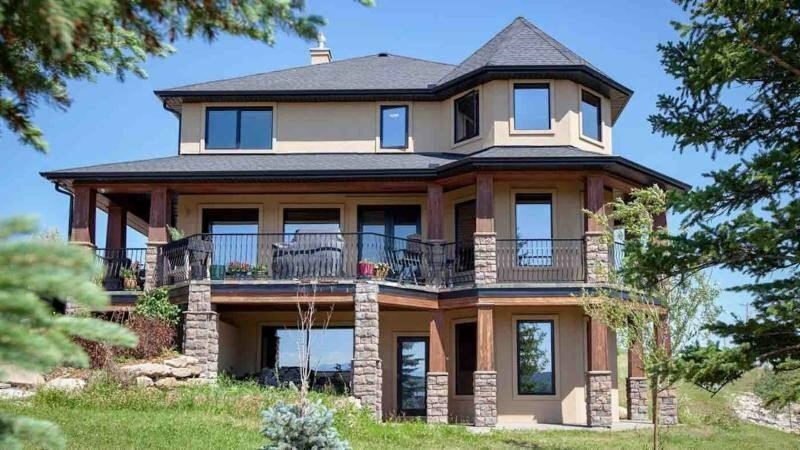 If you are looking to live in a magnificent $1.7 million home in the scenic hills of Canada, then this woman is asking you to write her a letter. Ever since Alla Wagner suffered a back injury last year, she has been unable to manage the stairs of her 5,000-square-foot home in Millarville, Alberta. Home care nurses suggested that she upgrade the house to accommodate her disability, but she couldn’t bear to change its beloved structure. “I view this home as a work of art and I don’t want to make changes to it that’s going to compromise it’s look and the value and craftsmanship that’s in this home,” Wagner told CTV News. She spent several months trying to sell the home, but to no avail. Instead of giving up, however, Wagner got an idea. Wagner is hosting a letter-writing contest in which she is asking strangers to write about why they want to live in her home. The “Write a Letter, Win a House” contest will be accepting up to 68,000 submissions. As a means of Wagner recouping the cost of her home, participants are asked to pay $25 for their application. If the letter application fees don’t help Wagner to break even within the next few months, she will refund all of the $25 admissions to the entrants. Additionally, if the contest succeeds, she plans on giving away 5% of its proceeds to the Calgary Women’s Shelter. Wagner has already started reviewing letters for the contest, and she says she has been heartened by the submissions.